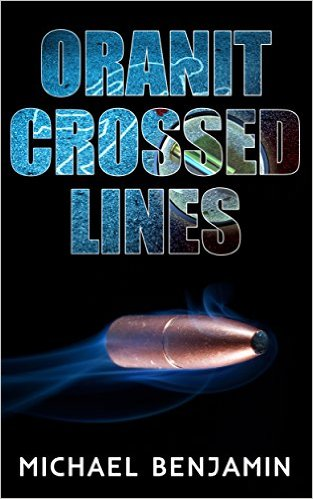 Visit Amazon to purchase your discounted copy of "Oranit: Crossed Lines", a suspenseful mystery set in the Middle East, written by Michael Benjamin. April 4, 2016 - PRLog -- Good people doing bad things for the best of reasons. A complex murder investigation of a complicated set of murders starts when an Arab collaborator's body is found by a collapsed wall in the new Israeli settlement of Oranit. His death is hushed up and the body burned by the Palestinian villagers who hated him. Two years later his death is all but forgotten until a bullet is found by a wall, and everything changes. Old speculations of foul play are confirmed, and the collaborator's death becomes a murder case. Formerly a member of Israeli military field security, Oranit resident Jeannie now works for the Shin Bet Security Service. She's given the dubious task of "putting the case to rest again." Delving into the circumstances surrounding the Arab's death, Jeannie discovers a hidden world of smuggling, forgery and other doubtful activities tied to minor politicians and founding members of the Oranit settlement. Everyone, including Jeannie's own father, seems to be a suspect. Michael Benjamin draws from his experience as a psychiatrist and settler to spin an intriguing plot. The characters are complex, yet real. Intrigue weaves its thread through the very fabric of the book. As the murder is solved, deeper issues are highlighted and come into play. Author and retired Israeli army psychiatrist Michael I. Benjamin weaves an entertaining and occasionally humorous murder mystery through the tangled politics and racial tension of the Green Line, the Yom Kippur War, and the Holocaust. As Jeannie uncovers the truth, she'll never see Oranit in quite the same way. He was born in Leeds, England, during WWII to parents who were first-generation refugees. Michael Benjamin, educated in both England and Scotland, graduated with an MBChB and BSc.in medicine physiology from the University of Aberdeen. 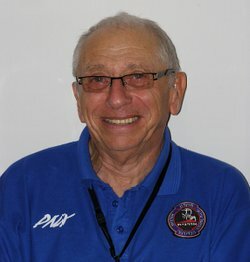 He immigrated to Israel in 1969 and is married to Pat Benjamin. The couple has three children and five grandchildren (to date). Michael Benjamin is a frequent blog contributor to The Times of Israel.